London Research and Development Corporation develops software exploitation tools for high resolution Synthetic Aperture Radar (SAR) imagery from satellites, such as RADARSAT-1 and -2. As well as shipping, Maritime Domain Awareness requires a knowledge of the environment near the sea surface, for example wind field retrieval. Information about ships can be found from SAR and from self reporting, such as AIS. Ship wakes are often seen in SAR images and promise to be an important source of useful data for verifying ship reports. Personnel have contributed to the theory of SAR ship wakes and AIS. 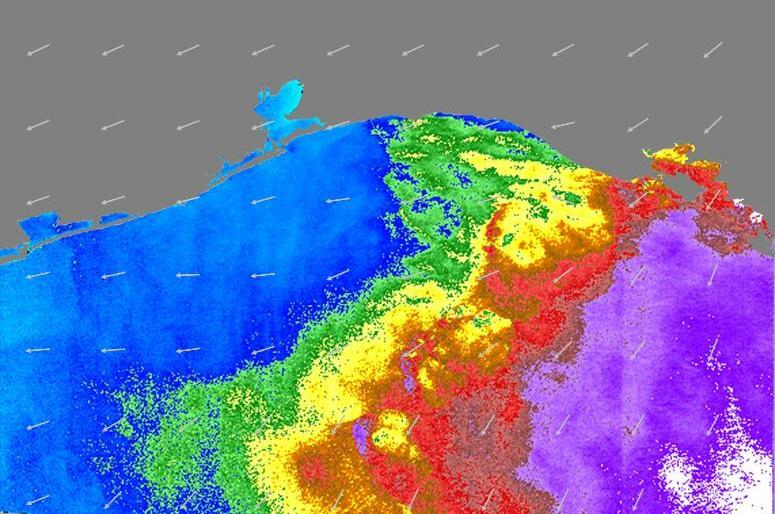 Wind field retrieval from RADARSAT-1 ScanSAR image of the Gulf of Mexico; produced by Space-Eye Wind and Waves application. Copyright © June 2010, London Research and Development Corporation. All rights reserved.